The day begins with Meis and Sodina doing chores in the backyard. 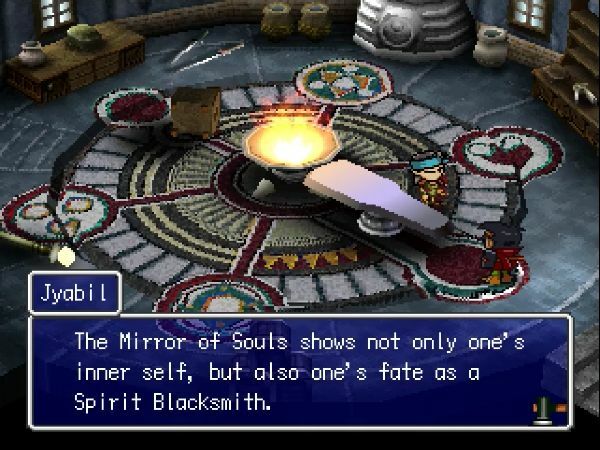 The secret art of the Spirit Blacksmith? I'm not sure, but Jyabil says it's being able to converse with the spirits. 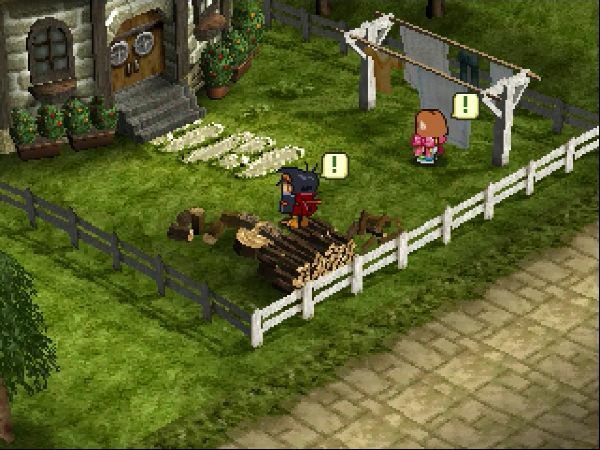 Suddenly, a crash is heard coming from the smithy. What was that sound? Come on, Meis! The source of the disturbance is, surprise surprise, Schmidt arguing with Jyabil. I know I'm skilled enough to inherit the secret art! Schmidt! It is not for me or you to decide when you're ready. It is decided by your way with the spirit. You know what I just noticed? I think Jyabil is the only smith in this game who doesn't carry around a sword all the time. Those are tongs on his hip. 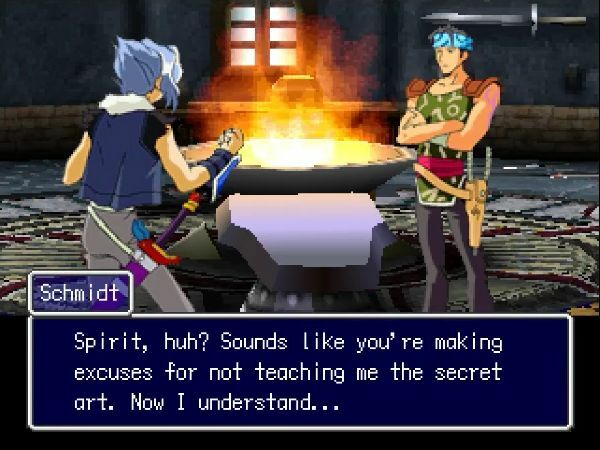 If you won't teach me the secret, I'll find another way! 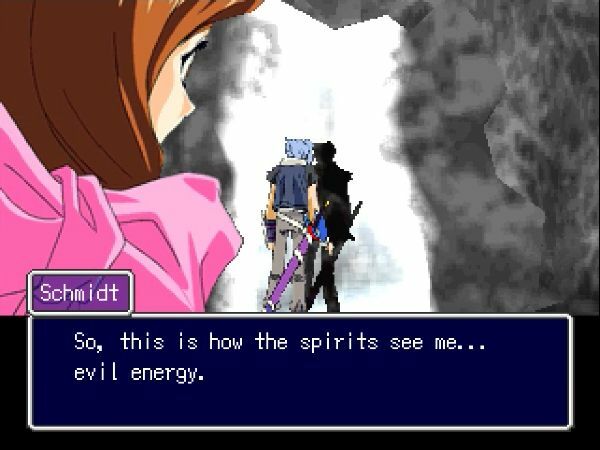 The secret is to imbue a spirit into the sword. 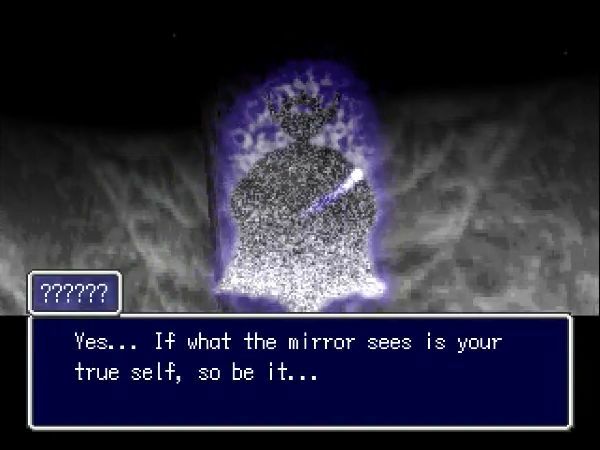 In order to do so, you must know how the spirits see you. 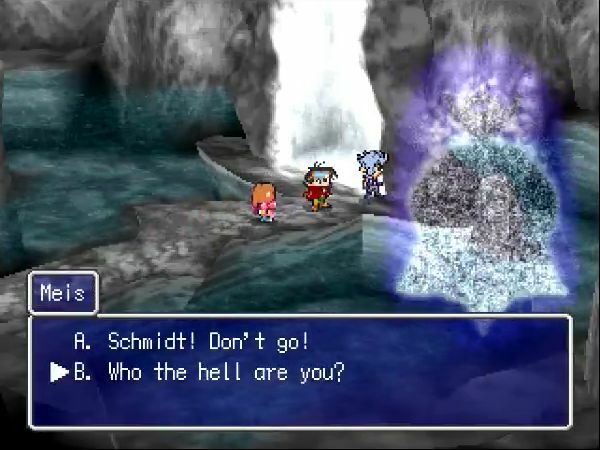 Damn, Schmidt really messed up the place. It's like the aftermath of an emo hurricane in here. 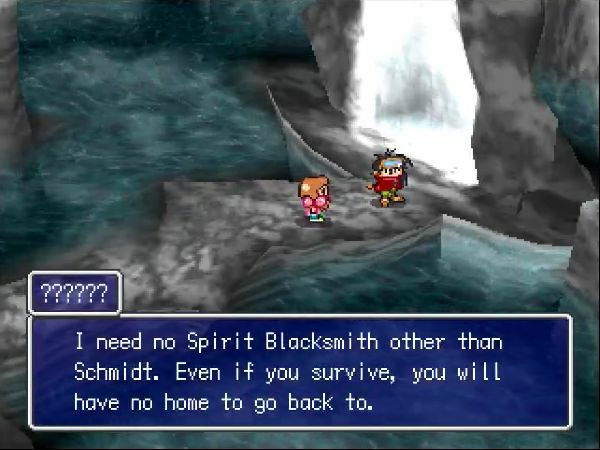 If Schmidt realizes that...Follow Schmidt if you're worried, Meis. He went to Mist Valley, just east of here. 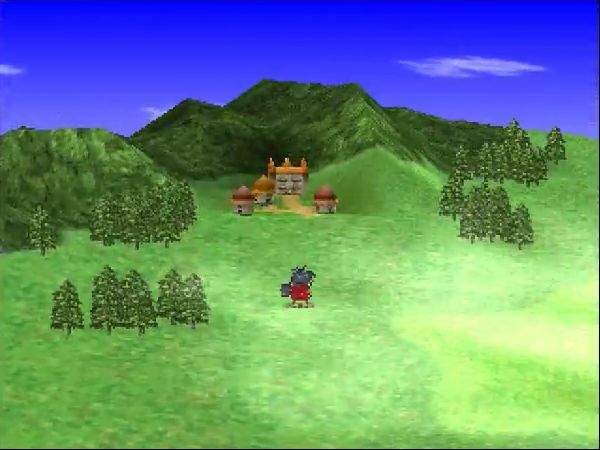 Before stopping by Mist Valley, I figured I'd point out that Meis' hometown, Kant, can actually be visited at any time, being just east and a little north of Boyzby. At this point, it's still just as abandoned as when Meis left, though. I really have to wonder at the Dark Acolytes' world conquest plan. I mean, they attack Kant, then they attack Fort Teve, but they don't attack Boyzby, which sits on an important river crossing between the two? I know they've got airships and teleporters, but it's generally a good idea to conquer in a slowly expanding circle and not just here and there at random. Well, anyway, we're here now. 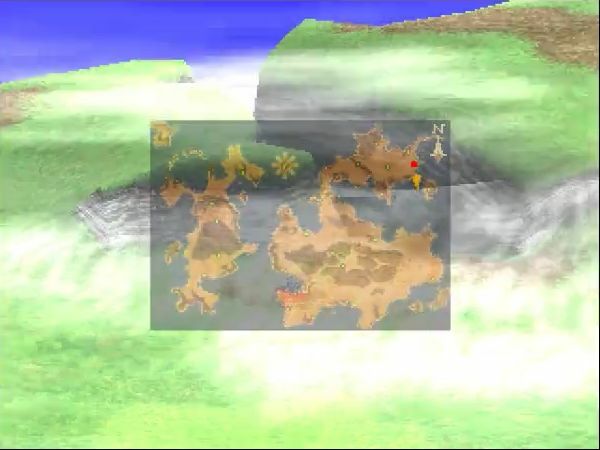 You can tell when you're getting close to Mist Valley because the screen gets all fogged up. 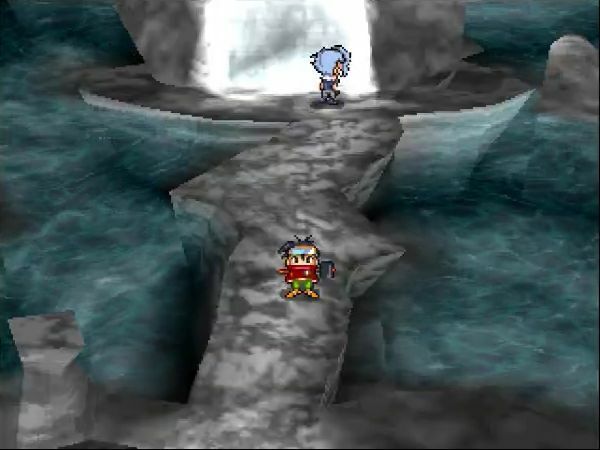 I still had trouble finding it the first time, as I recall, since it's basically just a crack in the ground between two hills, and the screen fogs up when you're up top, too. 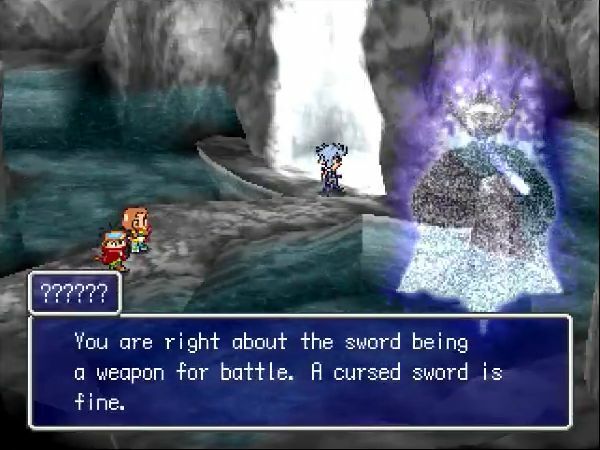 Oh, right, I should show off the Dark Sword before I use it. 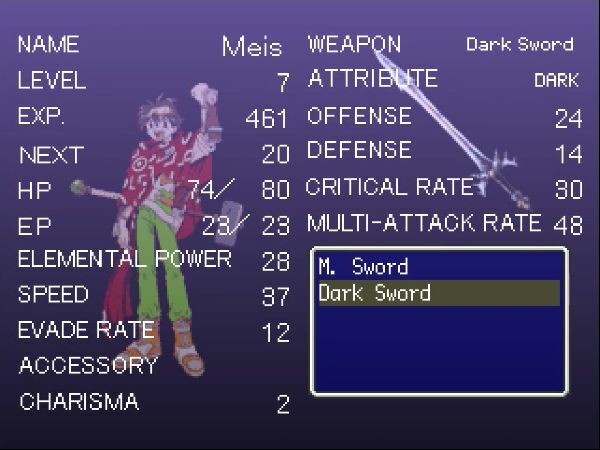 As of Meis' level 7 standard sword, this thing is actually pretty good, with 4 more Offense, 1 more Defense, and more Critical Rate in exchange for a lower Multi-Attack. Really, the only problem with alternate weapons like the Dark Sword is that Meis can't improve them like he can with the default weapons, so they all eventually get left behind. There's a set of hidden weapons throughout the game, but in spite of their objective awesomeness, Meis-made weapons will eventually surpass them. 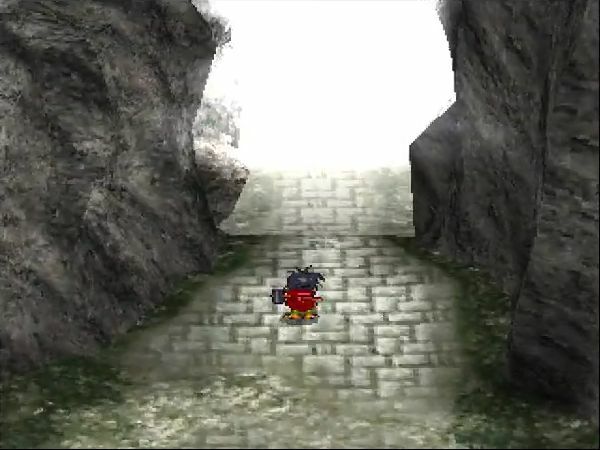 So this is what the dungeon looks like: a bunch of stone walkways and tremendous amounts of mist. 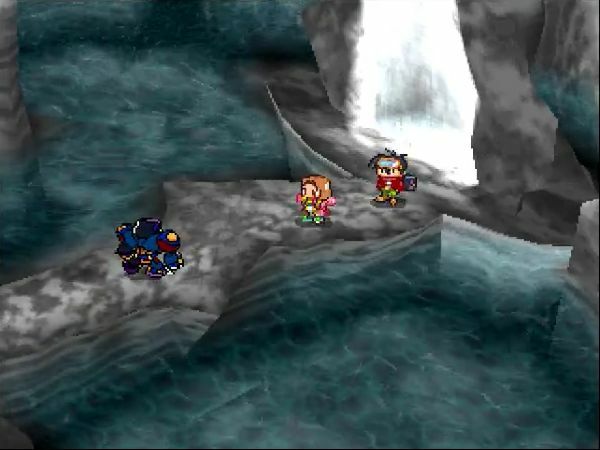 Let me just show you the standard enemies, and we can move on to the end. 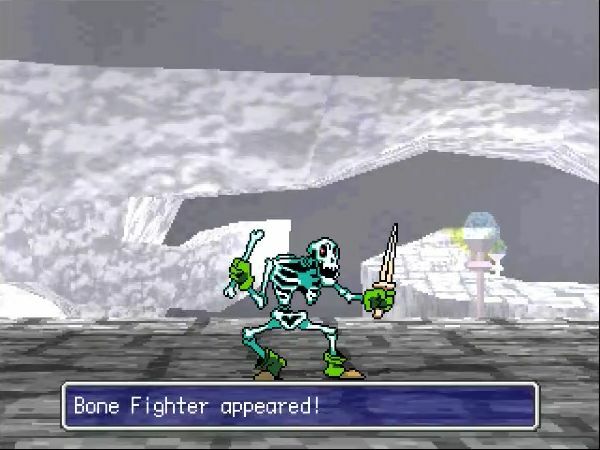 Bone Fighters are basically what they sound like: they stab you in the chest and move slightly faster than Meis. 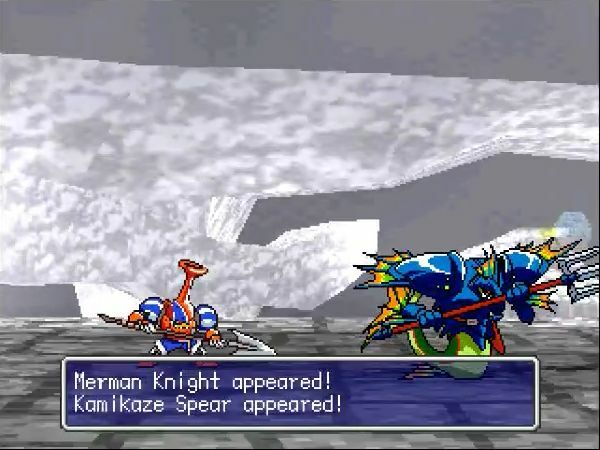 Merman Knights are officially where the attack/defend tactic becomes worthless as a constant fallback. 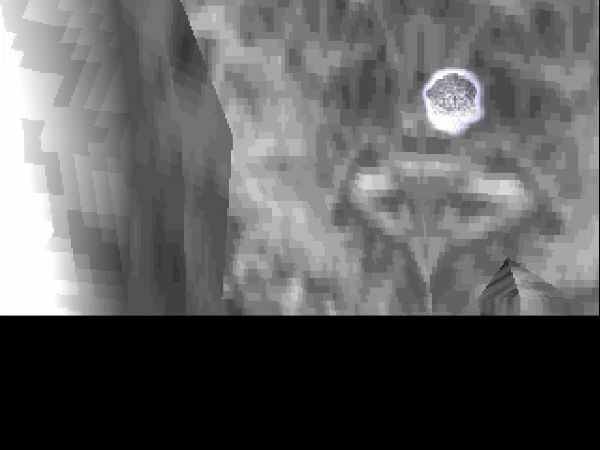 The damn thing has an attack that takes two arrows less than Meis', although at least its spell takes slightly longer. 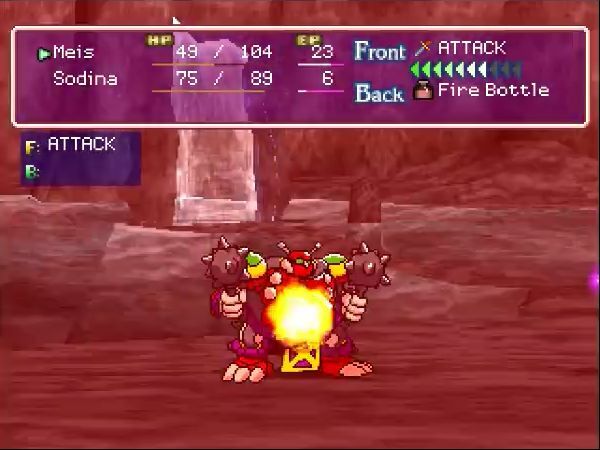 Two dungeons in, and we've already seen the first lazy recoloring: Kamikaze Spears are like those other jar guys we saw earlier, but they also have an attack boost and a chance to poison with their regular attack. And me without nearly enough antidotes. I should add at this point that I have found out that regular Poison does in fact persist between combats, and deals damage both in and out of combat. I am not looking forward to whatever Poisoning adds to this mix, assuming it's something separate. 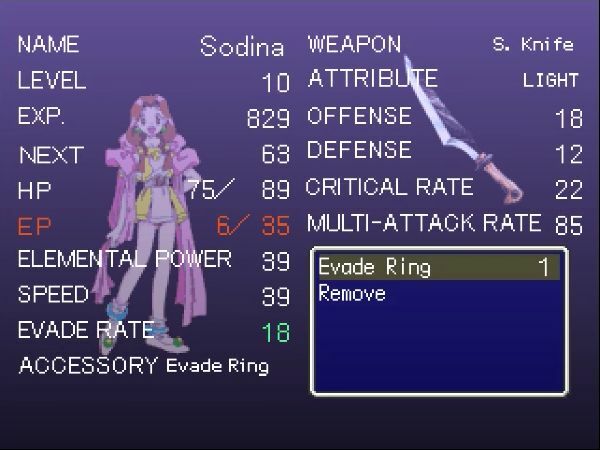 At a northern point in the dungeon, I found this evade ring, which is the first accessory in the game so far. Accessories are the only non-weapon equipables, and for some reason rings like this one are women-only. Sadly, it only adds about two points to evasion, but at least it's something. I've also found a few new item types. 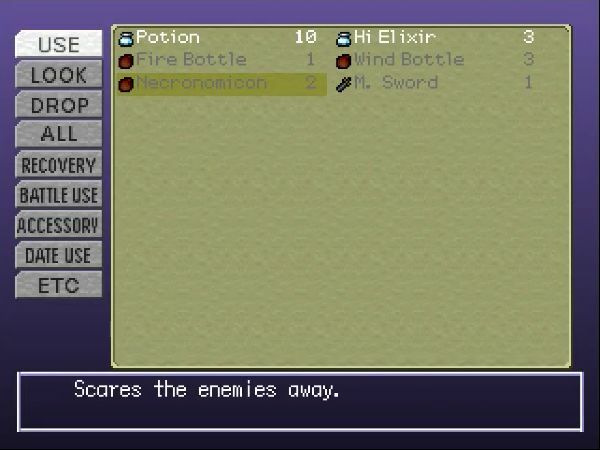 Bottles such as Fire and Wind are basically low powered spells that can be thrown at the enemy, and Eldritch Tomes of Forbidden Lore That Would Make a Man Insane to Simply Glance upon its Pages can be read aloud to scare away the monsters. 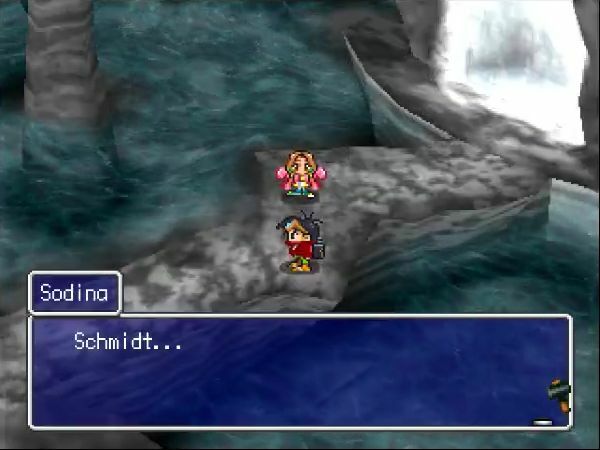 Oh hey, looks like we've found Schmidt. All I wanted was to make a powerful sword. Is this the reflection of my desire? I don't wanna be the evil rival, waaaahh! I want to focus my strength in one swing of my sword. Isn't this enough to make me worthy of the secret art? Seriously, why are they bothering with the question marks? 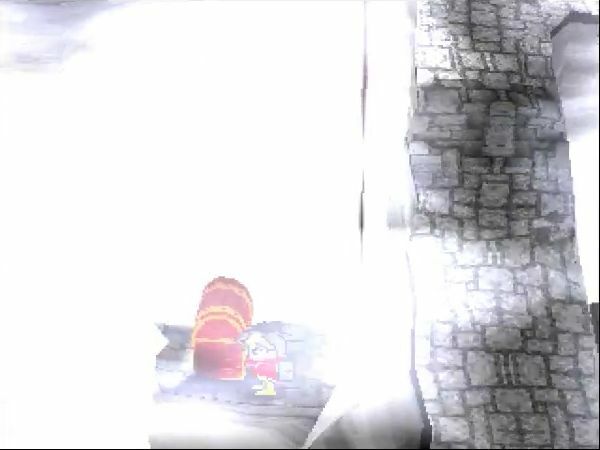 It's not like the characters can see them. It is important that YOU control the spirit and the sword. 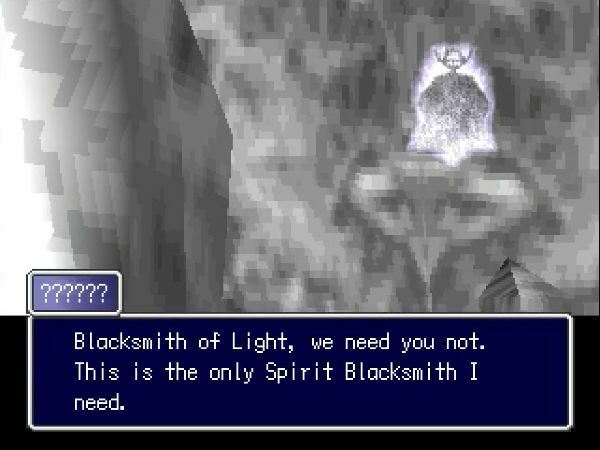 You are a Spirit Blacksmith of Darkness. 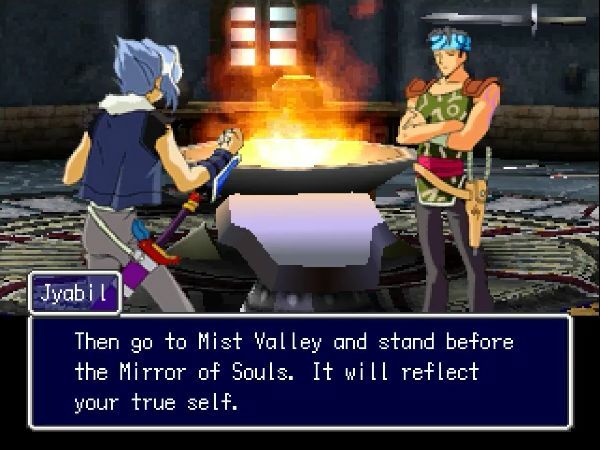 I have seen your true soul, you are meant to serve me. You don't need the secret art. 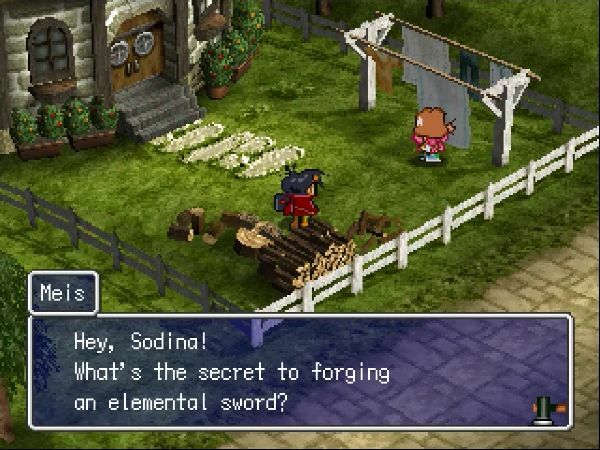 Forge swords on your own. Come with me. You are one of us now. Seeing as the other choice is kind of destined to fail, I figure we should at least try to ask. 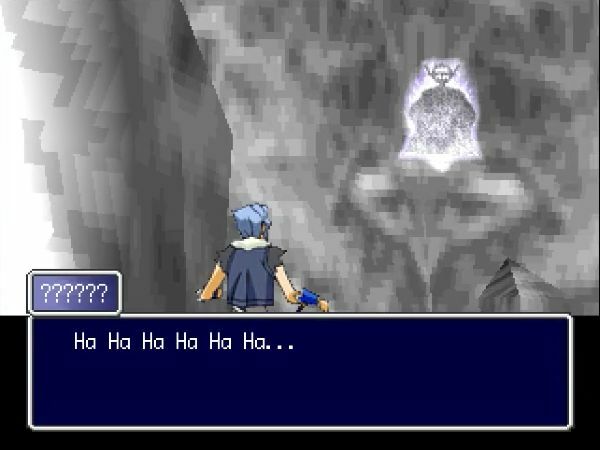 Goddamn this guy has a great evil laugh. I can't even remember what we were supposed to be asking. Come! You, who belong to the Darkness. 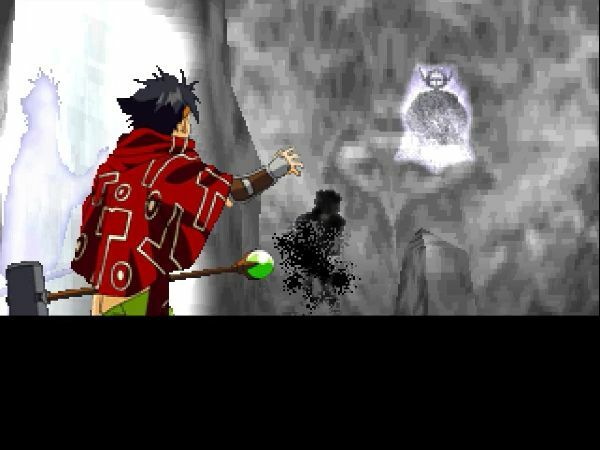 He's even got a creepy way of teleporting people. This villain is gonna be great. The Emperor then winks out of existence. But not before dropping off a token boss battle, that is. I went ahead and added this combat to the video since it's a good example of using the backline to full effect. Between this and the Emperor, you really should watch the video if you haven't already. No place to go home to...? I have a bad feeling about this. Meis, let's head home, fast! 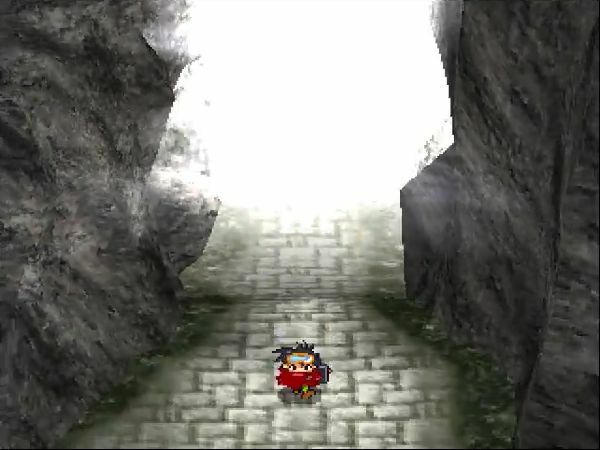 To facilitate this, we are once again teleported outside of the dungeon.